Hi Everyone! I am excited to announce that I’ve made my second contribution to “The World’s Most Widely Read Dog Magazine,” Dog Fancy. Pick up a copy of the July issue which just hit the newsstands. I was interviewed for a great article by Lynn M. Haner called “Canine Behavior Decoded.” Lynn and I also worked on a fun quiz to accompany the article. It’s a quick test of your breed knowledge. Take the quiz here, at Dog Fancy’s website, Dog Channel. It was a humid, stormy night. I got home late from teaching a class. My wife was away for the summer so it was dark and quiet when I entered the house. I was sticky with sweat and exhausted from a long day. I couldn’t wait for the dogs to lick my cheeks. Through my glass front door I saw the familiar black shape of my Husky-Shepherd, Eli, curled on his bed in the foyer. I turned the key and walked in with a smile. 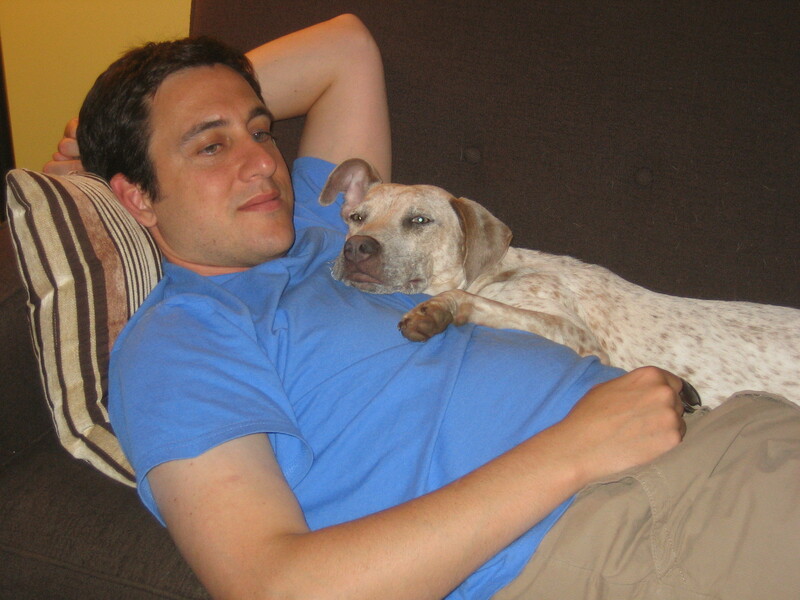 Eli got up and stretched in my direction, ears pinned back, slow circle wags – oh, he melts my heart. Huh. I should have at least heard his thumping tail by now. He usually bangs it against the floor whenever I come near. I poked my head in the closet. Didn’t see him. Turned on the light. No dog. Suddenly my heart rate picked up. Why was I nervous? He’s here somewhere. Could the dog walker have lost him while hiking in the park? Have I even looked at my phone today? I quickly pulled out my cell to see if I missed any messages or texts. Nothing. Wait. Maybe he shoved himself under the bed. 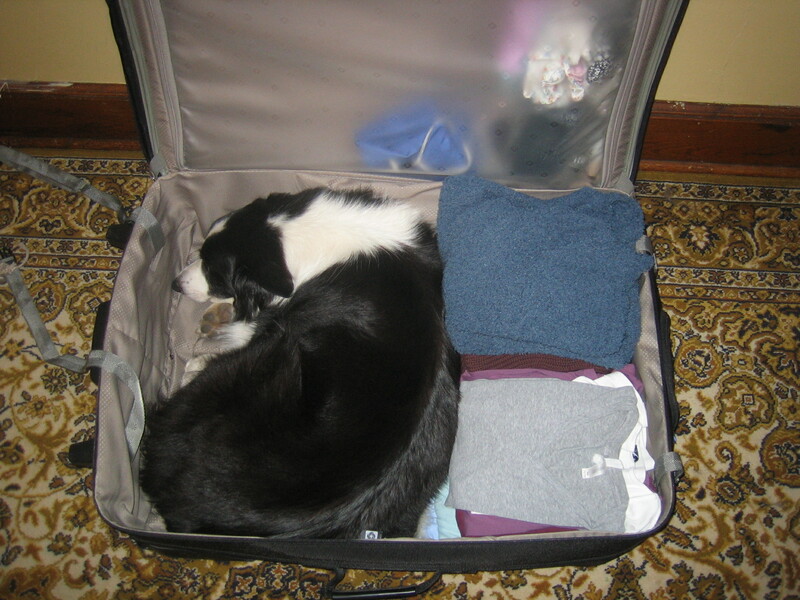 He’s a big Border Collie, 50 pounds and tall, but he could get into a tight spot when he wanted. In order to fit under our bed he would lie down flat on his side, cheek flush against the floor, and then scoot sideward in little thrusts, partnering with gravity in a way that only animals can. Without lifting his shoulders or rump an inch higher than needed, he squeezes under the bed frame, then doesn’t move for hours. But when he’s under there I usually hear his tail thump the wooden floors. “Thwack, thwack, thwack,” I heard in my mind. But in reality there was no thwack, just the sound of thunder outside, rain on the roof. I bent over and lifted the bed skirt. I saw some old boxes, a forgotten sock and a lot of furballs. No dog. I knew it. I would’ve heard his tail if he were under there. I did a quick check of all the rooms. The office – no one there. The second bedroom – no. Could he have gone in the bathtub? I ripped open the shower curtain. Empty tub. My eyes darted to the corners of the yard, looking frantically for black-and-white. Nothing. I knew if he was out here he would be shaking and staying put, huddled into a corner or under something, so I went out in the storm and checked his favorite hiding spots. He was not in the corner behind the bench. I lifted the lawn chairs. Nothing. I hurried back in. When I got in the house I wiped my face and took a deep breath. Could he have been left in the yard and then stolen? Nooooo. Stop. 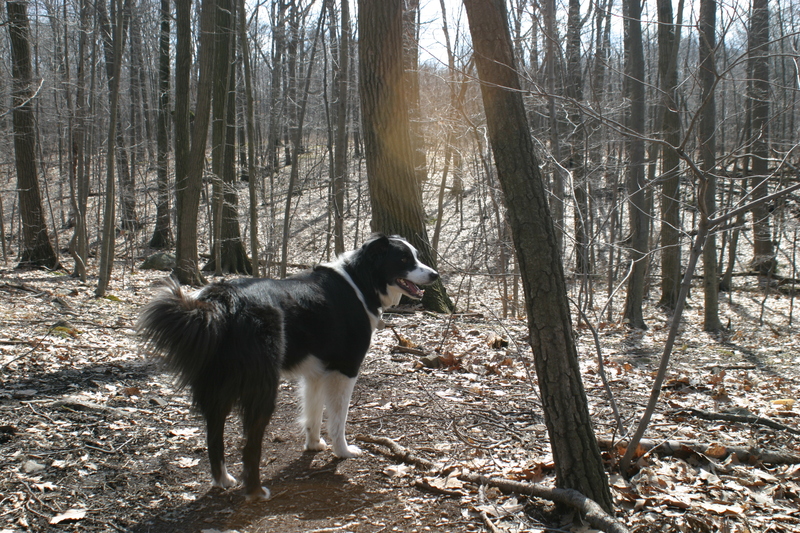 Was my trusted dog walker actually an undercover Border-Collie thief and exporter, taking weeks to woo me into comfort then shipping Flash off to a master camp for herding breed champions? No – that’s not it. I once took Flash for a test of his herding instinct. With live sheep. We cut him loose in the pen and he took one look at the sheep before lowering his head, tucking his tail, and proceeding straight to the corner where he tried to look as invisible as possible. The sheep herded him. I scanned the whole basement and saw nothing. Another deep breath. Why wasn’t he trying to find me? Why wasn’t I hearing his tail? Time to re-check every room, every inch. You weren’t thinking. You were just reacting. That’s what animals do. That’s why I love them. I turned off the surge protectors and started unplugging everything. I was going to have to untangle the cords to every device in the office and then re-plug them back in. And I was going to have to find a way to block access to this spot in the future. “You nut,” I said, as he licked the sweat off my cheek. When I first adopted Flash, Lillie of Glen Highland Farm had given me a word of advice. As I put him in the back seat of our car and shut the door she warned, “Border Collies are known to dart through the slightest openings, so be very careful whenever you open the car to let him out.” That was before he was a trained dog, of course. But I remember the X-Men like ability she was describing. And it held true. My wife and I later came to call Flash the liquid dog. He seemed to be able to pour his body into or through any space he wanted. 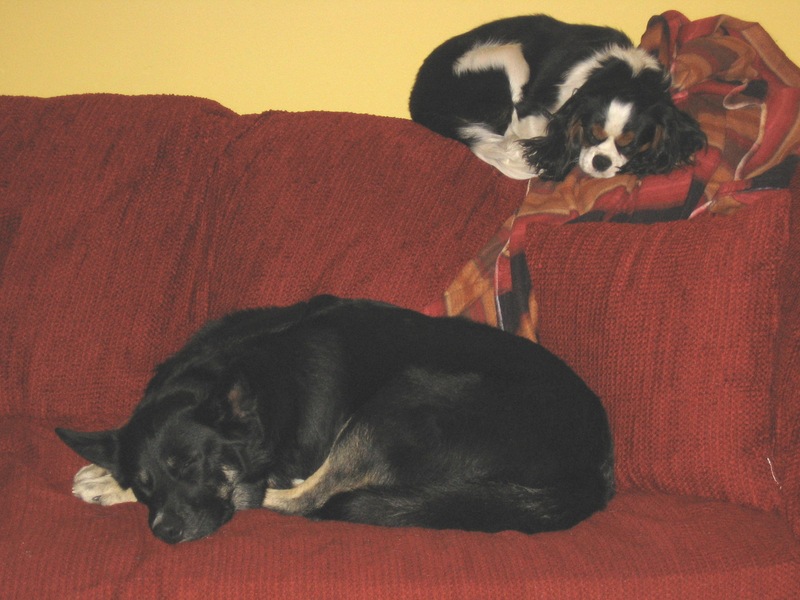 No, no, not agility or schutzhund – I’m talking about the sports the dogs invent. You know, your bored dog. He’s not going to sit around doing nothing for too long. He was born to use his keen mind and athletic body – but that won’t always turn out the way you want. If he gets put in a situation with a healthy serving of territoriality and a dash of barrier frustration, you might see some intense behaviors cook up quickly. Here are some of this week’s most amazing dog sports, the ones that produce big headaches for owners, but a really great adrenaline rush for the dog. Television Attacking: favorite targets are other dogs and animals that, to your dog’s mind, seem to have suddenly and magically appeared out of nowhere. Even more frustrating – these intruders have no scent. Some dogs will bark at anything – even cartoons will spring them into action. Many mad dashers go right up to the screen and give ’em hell. Window Frothing: a variation on television attacking, this can get intense. 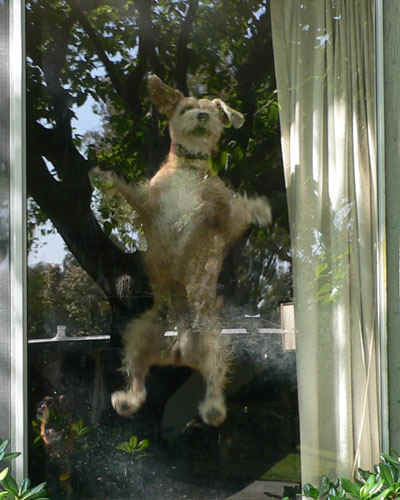 A particularly bedeviling problem is when your dog learns to run to multiple windows to track the “perpetrator.” Better get your squeegee, top dogs in this sport can really spit up your glass. Now that's what I call a dedicated athlete. Fence Frenzy: this is when there is something on the other side of the fence that your dog really wants, but can’t have. Like another dog, a squirrel, children running. All of the above can unleash the nightmare fence runner. 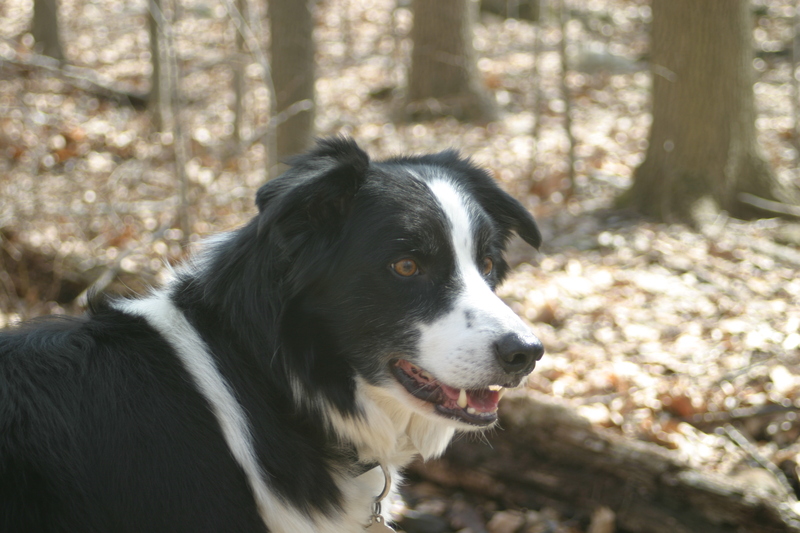 My border collie used to fence-run so intensely that he dug a fifty-foot long trench along one side of our yard that was 3 feet wide and one foot deep. He would bang straight into a park bench and then keep running. Back and forth, back and forth…. The problem with these “sports” is they are self-rewarding for the dog. Adrenaline rushes are fun. If left to their own devices, dogs get really really good at producing them, become obsessed with them, pine for the moment when the slightest trigger will spring them into action. Then they are thrilled: barking, chasing – wild-eyed, unable to hear a word you say. I call it off the planet. Dogs can be trained out of these behaviors, but it’s usually not easy. Not easy at all. If you see your dog starting to teach themselves one of these sports, stop the pattern. It’s time to show them new ways of using their brain and body. Check out my nosework blog from yesterday.